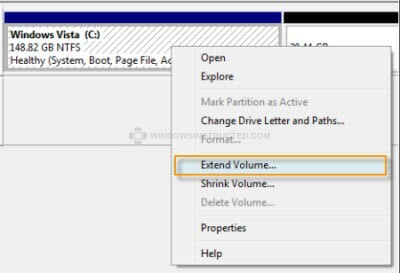 If you’re not happy with your partition, and you wish to Re-size your partitions or the entire harddisk then these steps will help you trough the process of achieving this. NOTE: You need at least Windows Vista or higher to be able to execute this tutorial. 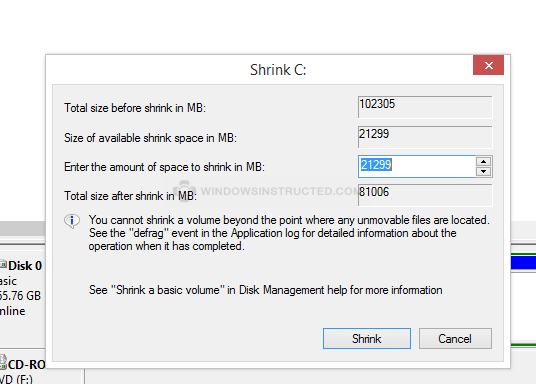 In the shrinking process, You must have enough unallocated space available on the current partition of Drive, and if you want to Expand make sure you has enough unallocated space available to expand. 4. 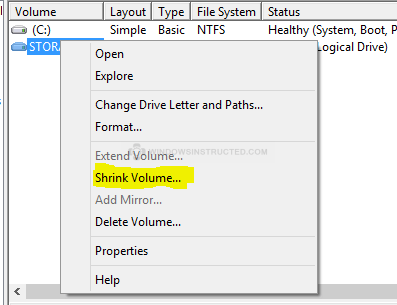 Now for Expand the space of partition right-click on the partition and select Extend volume. 5: If you have enough space, a dialog box will appear where you will be able to see the shrink space available. Enter the amount of space to shrink and hit the Shrink button.